We've already toasted to some of the year's most expensive artworks that hit the bidding block in 2013. The collection of 20 paintings, prints and sculptures included an $8 million Monet, a $58 million balloon dog and a record-smashing Francis Bacon painting that took the title of "Most Expensive Artwork At Auction"... ever. So, what's more enticing than a listicle devoted to the priciest masterpieces of last year, you ask? How about the weirdest and rarest auction objects that went up for auction at the same time? The year 2012 might have seen the auctioning off of Charles Schulz's extramarital love letters and Elvis Presley's dirty underwear, but 2013 managed to bring enough oddities and strange bits of nostalgia to the table as well. Behold, a compilation of the strangest and most unusual items that graced the bidding blocks of Sotheby's, Bonham's, eBay and more. Scroll through the list below and let us know which objects you'd bid for in the comments. 1. The violin that played as the Titanic sank. The violin that purportedly played during the final hours of the sinking of the Titanic went up for auction this year. Thought to have belonged to the ship's bandmaster Wallace Hartley, the fiddle sold for a cool $1.7 million. 2. A 200-year-old taxidermy Ostrich. A part of the "Out of the Ordinary" sale hosted by Christie's in London, this massive stuffed bird comes straight off the famous Italian compound known as "Little Versailles" and dates back to 1785. Oh, and it cost $33,150. 3. Lee Harvey Oswald's wedding ring. Just a month shy of the 50th anniversary of President John F. Kennedy's assassination, the wedding ring of shooter Lee Harvey Oswald hit the auction block in Boston. It sold for $118,000 to an anonymous Texas buyer. 4. A $138 Picasso painting. The 1914 work, "Man in the Opera Hat," is actually worth a whopping $1 million, but a charity event in Paris offered the painting up for a measly $138 raffle ticket. 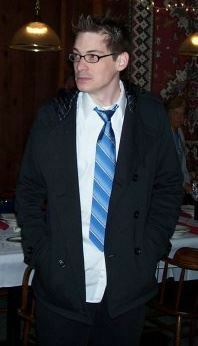 A 25-year-old Pennsylvania man named Jeffrey Gonano was the lucky winner. Thirty two pieces of memorabilia that had once been submitted as evidence to special prosecutor Kenneth Starr during his investigation of Bill Clinton's dalliances with Monica Lewinsky went up for sale this year. Among the items was a floor-length black negligee belonging to the former White House intern. The lingerie and other collectibles were expected to nab nearly $50,000 in total, but bids reached just north of $12,000 instead. 6. A giant Elephant Bird egg. A massive, partly fossilized egg laid by a now-extinct elephant bird has sold for more than $100,000. Measuring in at one foot long and nearly nine inches in diameter, the giant ovum only took 10 minutes of competitive bidding to sell. 7. A 65-year-old slice of Royal Wedding cake. A piece of the fruit cake served at the 1947 wedding of Queen Elizabeth II and the Duke of Edinburgh was sold by PFC Auctions for $925. Long live the fruit cake. 8. 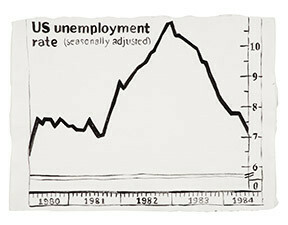 Andy Warhol's unemployment rate drawing. In 1984, Andy Warhol drew a relatively accurate depiction of the U.S. unemployment rate from 1980 to 1984. Christie's put that picture up for auction this February and the image -- roughly the length and height of two rulers -- sold for $32,500. 9. The world's most expensive carpet. Want to know the going rate for a Sickle-Leaf Persian rug from the early 17th century? The answer would be $33.7 million, making the nearly 9-foot by 7-foot carpet the most expensive ever sold at auction. 10. Around 3,700 unpublished images of Marilyn Monroe. Milton H. Greene was only 26-years-old when he photographed Marilyn Monroe. Just this year over 3,700 of his images went up for auction -- with copyright -- meaning the buyer could print images from the negatives and transparencies, sell them and license the material. A law-school dropout saddled with debt auctioned away his name on eBay, allowing the winning bidder to legally rename him for two years. The bidding started at $75,000. "If you want my first name to be ‘Bob’s Supermarket’ and my last name to be ‘.com’ I’m cool with that," Jason Madsen wrote on his eBay entry. 12. A scrap of tape. How much would you pay for a scrap of old tape allegedly used by performance artist extraordinaire (or Lady Gaga's artsy friend, as some know her) Marina Abramovic? If you said over $200, then you must have been a part of this year's bidding war on eBay, vying for a glorified piece of trash from Abramovic's "The Artist is Present" exhibition. BONUS: The 'Lost' Beach Boys archive. Boxes of unblemished Beach Boys material sat forgotten in a storage unit in Florida for years before it hit the bidding block this year. Including thousands of documents, what appeared to be the band's first royalty check, dozens of signed contracts, and handwritten and copied scores to "Good Vibrations", "California Girls" and many other hits, the treasure trove of music nostalgia has a tentative estimated price of "several million dollars."